Have you ever wanted to share your songs and movies via iTunes on your home network? 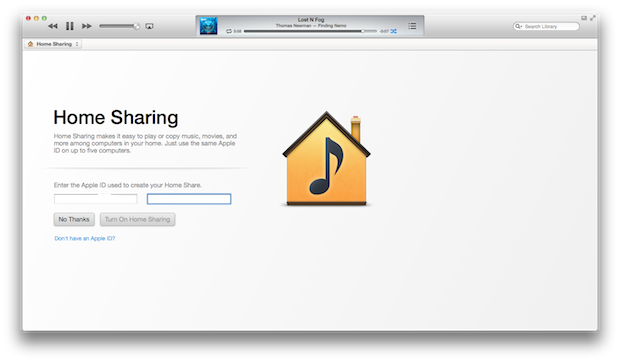 iTunes offers built-in sharing tools that makes it easy to stream your content to other computers on your home network. Sharing your library on the web carries several benefits. 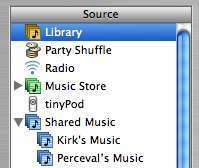 If you have more than one computer at home, you can share your iTunes music libraries from one computer to another. Besides, you can create separate libraries on each computer, or you can have all your music saved on a single computer that works as a music server for your other computers. Added to it the ability to share your music so others can enjoy your music on other computers. 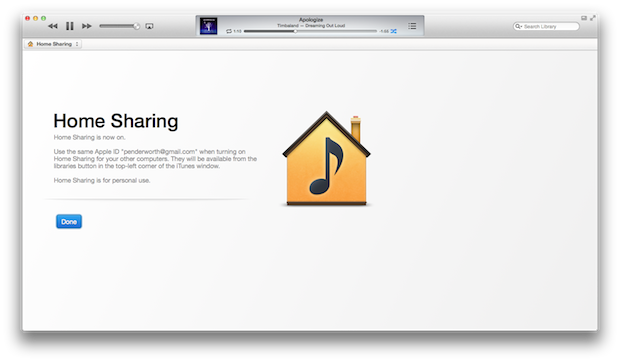 In iTunes, we can find two functions that allow sharing of songs at home or on the network - the traditional sharing function and the so-called "Home Sharing". Turning iTunes sharing on features is a simple procedure , just go to iTunes menu ( in the left hand corner) and open your preferences window. Then, a new window appears with options to configure sharing. In the "General" tab you can specify the name of the library - which will be visible to other computers. Then Select the sharing icon at the top of the list. First of all, we need to select Share my library on my local network, which lets you share your music with others. Once you’ve clicked, you’ll be presented with a wide range of options for what library or playlists to share. Determine the music you want to share by clicking the appropriate buttons ( music, films, podcasts, playlists). We can also define which elements we want to share by selecting "Share selected playlists" option. Then highlight the list of items that you want to be visible to other users. You can beef up your security further still by setting a password to access our library, if you want to protect your library from unauthorized access. All you need to do is select "Require password" option and set a password that other users will be required to provide in order to connect to your library. When you are done, click OK.
At this point, your library should now be available for other users. Our library will be displayed for others on the list of iTunes libraries. Keep in mind, that if you want your library to be viewed by others, you have to have open iTunes. If you do not want to make your library available to all users on local network, then the iTunes offers a great way to stream or transfer music, movies, and more among up to five authorized computers in your household. It is a Home Sharing. To do so, you are required to use the same Apple ID. Users are allowed to stream music and video from one authorized computer to another, or simply drag music between computer libraries. We can also set iTunes to automatically sync purchases we make in iTunes store for any of our Home Sharing computers to our own library. 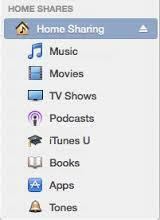 The first step to sharing music within iTunes is to go to iTunes settings (in the left hand corner), access Library and select Turn On Home Sharing. A new screen will display, where you need to type in your Apple ID and your password. The data are the same as for an iTunes Store account. When finished, click the Turn On Home Sharing button. If you do not already have an Apple ID, you need to create it - just click on the link "Forgot your Apple ID?" And the software will automatically start the registration process. Once you log on, you need to repeat this step on the other computers and log on to the same account. After logging on the other computers, iTunes should display a message asking for authorization. Confirm the desire to authorize using the "Authorize" option. From now on, all the libraries are displayed in the "Home Collection". To view it, click on the library in the left side menu, under the "Play / Pause" button. Both ways of sharing iTunes content give a very similar effect and require computers located within the same local network. When talking about traditional sharing, we do not have to log in on the same account on all computers, and therefore can stream music quickly and with no configuration for other computers on the network - without any restrictions. Home Sharing, on the other hand, works only within the computers on the same local network, and requires you to log on the same Apple ID account. It is more time consuming, however it provides some additional features such as automatic synchronization between local library and all purchased products from the iTunes Store. With the Home Collection, we are ensured that the library is available only for the computers that are authorized.